FastBraces™ is an orthodontic procedure that has made a name for itself in recent years. Those who want straighter teeth have often resorted to the usual treatments of traditional braces and Invisalign®. However, Fastbraces are designed to straighten teeth in timeframes that are much quicker than either of the other procedures. Is that sounding too good to be true? Is it an effective way to a straighter, better smile? If it is an effective treatment, is it safe or will it risk the overall health of a patient’s teeth? Find the answers to all of these questions now. Fastbraces are a comprehensive alternative to traditional orthodontic treatment. 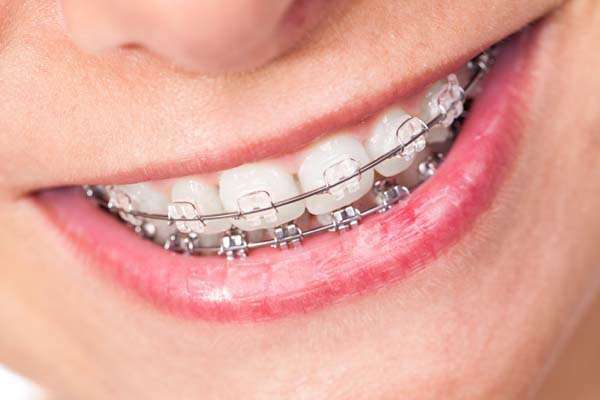 Fastbraces are used to treat dental issues such as “bad bites” or malocclusions like underbites, overbites, crowded or crooked teeth, spacing or gaps and crossbites. Fastbraces are designed to address these issues in just 120 days, compared to braces, which can take two to three years on average. Invisalign treatments tend to need anywhere from 12 to 18 months before teeth reach the proper alignment. A significant advantage for those using Fastbraces is that patients can see a noticeable difference in their teeth in a matter of days. Also, patients have reported that they experience a decreased amount of pain than when compared to traditional braces. Fastbraces are even beneficial for dentists because it makes any needed additional procedures like crown installation or implants less of a headache. It can be a win-win for dentists and their patients. When pitted against Invisalign, Fastbraces wins hands down. Invisalign has a limited daily wear time of 20 to 22 hours a day. Meanwhile, Fastbraces are worn 24 hours a day and seven days a week until the procedure itself is complete. As far as hygiene goes, patients don’t brush while wearing their Invisalign. Patients need to clean them regularly using soap and warm water which includes brushing and rinsing the trays as well. With Fastbraces, all a patient has to do is brush the brackets as they are brushing their other teeth. Fastbraces have been consistently tested and improved for over twenty years. These tests and improvements are made to ensure that the procedure is safe and effective for each patient. Currently, there are no known side effects to using Fastbraces. Short answer: They can be. Long answer: Only if people do not use them properly. With that said, the orthodontist has to make an accurate assessment to determine if a patient is a good candidate for Fastbraces. However, they can be uncomfortable when treating extreme teeth misalignments like TMD or TMJ disorders, teeth stuck in the bone or severe cases of overcrowded teeth. Fastbraces are a great orthodontic option for those who want straight teeth without having to go through the usual procedures like braces or Invisalign. To schedule a consultation for Fastbraces, contact our dental office today. Are you considering Fastbraces in the Killeen area? Get more information at https://www.texasstarsmiles.com. Check out what others are saying about our Fastbraces® services on Yelp: Fastbraces.